In 2014 the French enjoyed their best Tour de France in years, ending what had been a barren patch for the race’s home riders and legions of fans. Two of their own made the podium in Paris: Jean-Christophe Péraud of Ag2r-La Mondiale in second and FDJ’s Thibaut Pinot in third, while another Frenchman, and team-mate of Péraud, Romain Bardet finished sixth. With two riders in the top 10, as well as Blel Kadri’s victory on stage eight, Ag2r also won the overall team classification. And what was the squad’s weapon of choice for the Tour? The Focus Izalco Max. A striking gloss on matte paint scheme. Featuring classic round tube profiles the Focus Izalco Max weighs a staggeringly light 725g for a 54cm frame. Paired with a 295g fork, it’s a seriously light machine, which is right up there in the same league as the Cervelo R5 and Cannondale SuperSix Evo. Regardless of which model you buy, the Focus Izalco Max frame is the same across the board. That means that if you purchase the £2999 Ultegra equipped Izalco Max 5.0 you are getting the same world class frame and fork as found on this model and the Ag2r team bikes. The fork is made from a single piece of carbon-fibre, and is noticeably light and skinny. Lateral stiffness is key in this area. Paired with tapered headtube, 1” at the top and 1.1/8” at the bottom. The Izalco Max features a press fit bottom bracket. 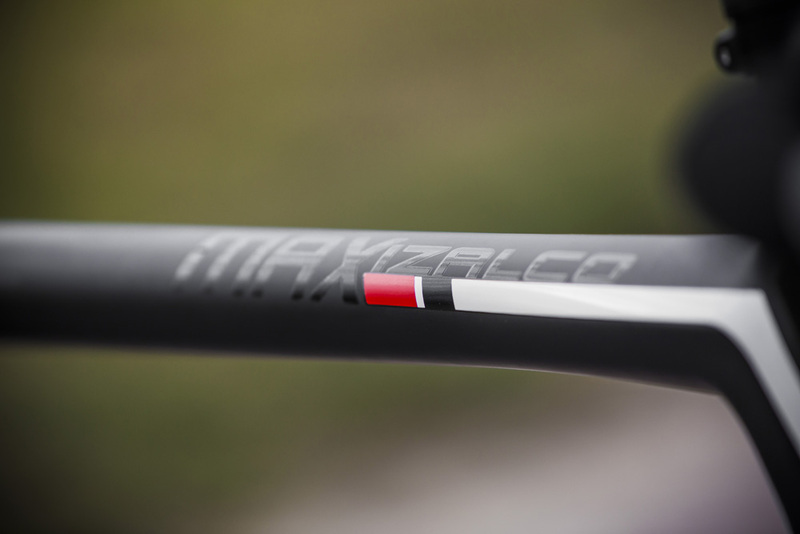 The Izalco Max frame properties are consistent throughout the range of seven sizes. Focus uses tailor made tube diameters dependent on the size of the frame, ensuring that riders get what they need, not what they’re given. It’s something it refers to as SSPS, which an acronym that stands for Stable Stiffness Per Size. A similar approach called ‘Rider First Engineering’ is now being applied by Specialized to its Tarmac model. A bigger frame carries a heavier rider and therefore the frame needs to be stiffer than a smaller frame that is designed, most likely, for a lighter rider. It makes sense. It ensures a constant stiffness to weight ratio without giving up any of the factors that give the bike its vertical compliance. Brake cable external routing for easy maintenance. 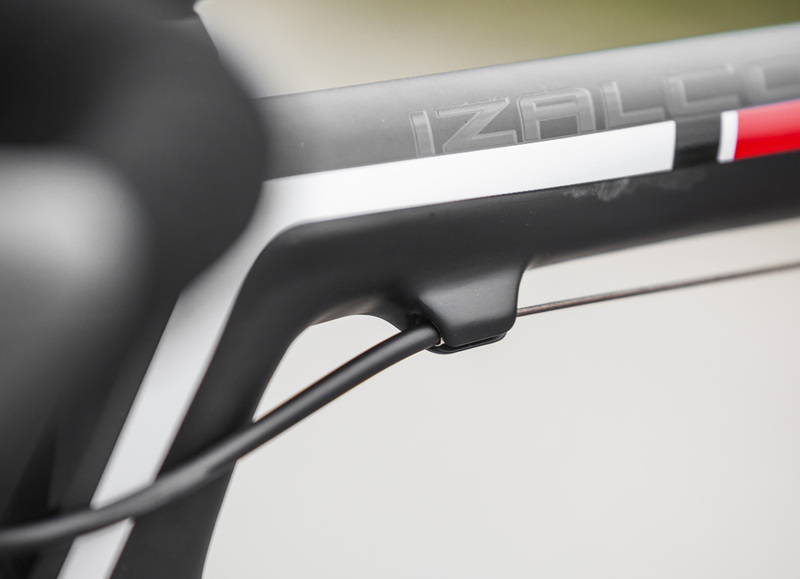 Being a thoroughbred race machine, the Izalco Max 1.0 features external cable routing for the brakes. Race mechanics have a tough job. At stage races, they work long into the evening, every evening, to prepare bikes for the following day, making external cables much more practical. I really like the ease of maintenance this offers and is similar in this regard to the Cannondale SuperSix Evo. 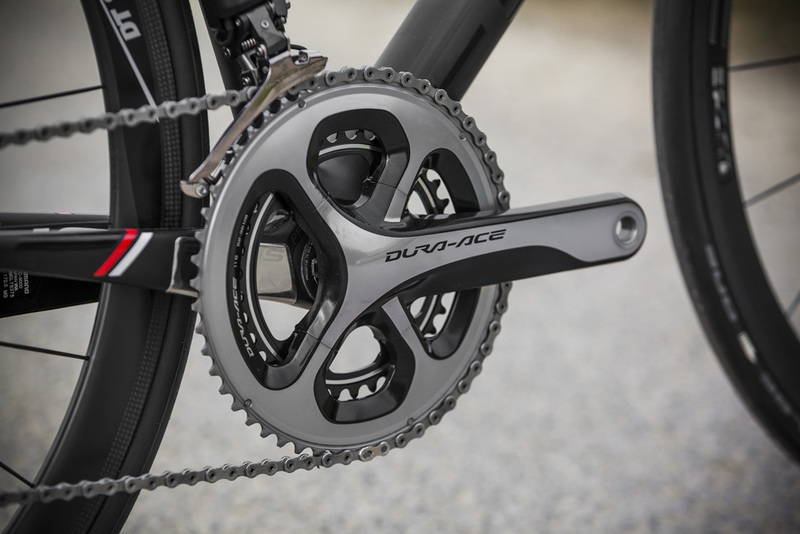 Being a top spec machine, the Focus Izalco Max comes equipped with full Shimano Dura Ace Di2. 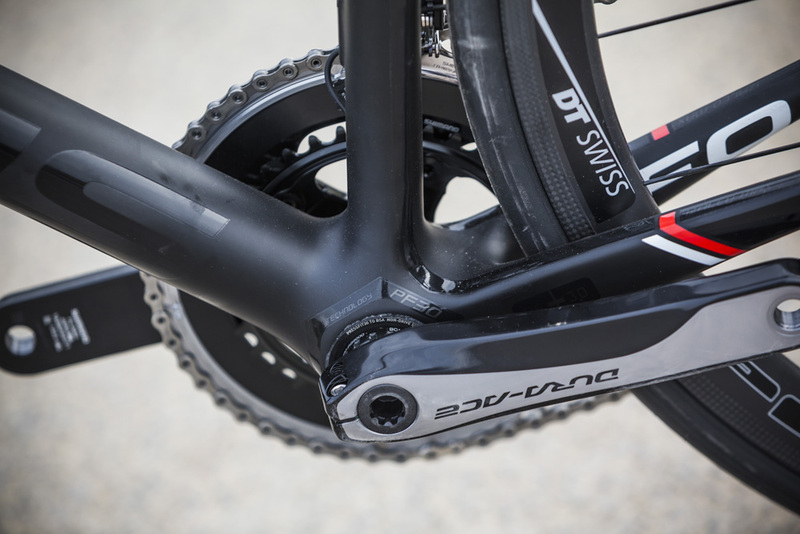 Bucking the trend of 11-28t cassettes, our test bike came with a closer ratio 11-25t. Perhaps a bike this light doesn’t need those extra gears! 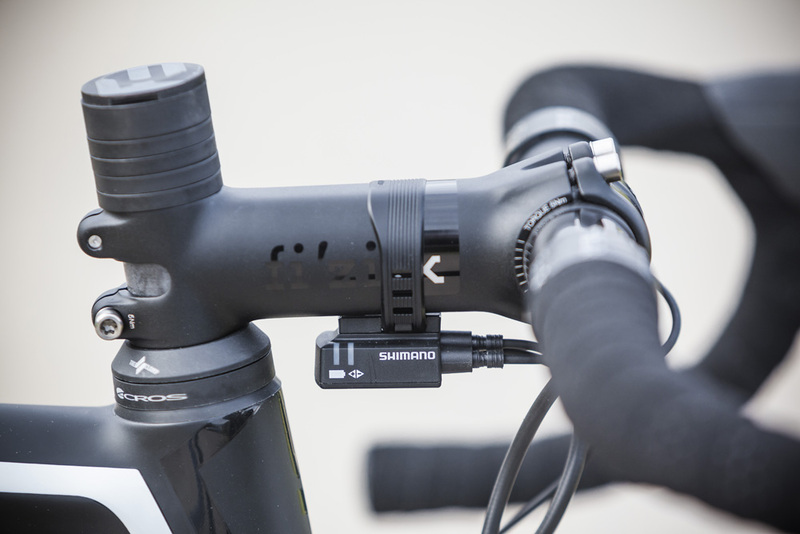 The Di2 battery is hidden in the seatpost and is held securely in place with a special cap at the base of the post. 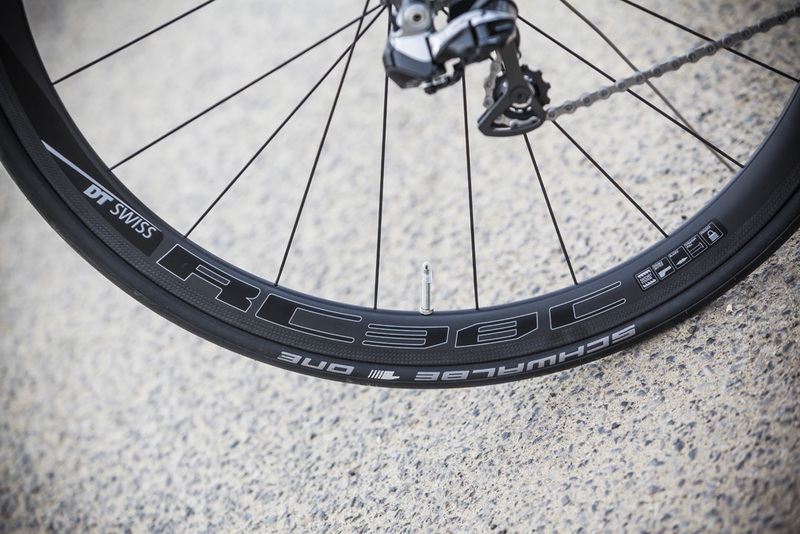 The wheelset Focus has chosen for this version is the tubeless compatible DT Swiss RC38 Spline Carbon. Its full carbon rim works equally as well with clincher tyres. Refreshingly, these wheels performed really well meaning an upgrade is by no means necessary. By using a tapered head tube bike manufacturers can save weight, as less material is used, without forfeiting lateral stiffness. 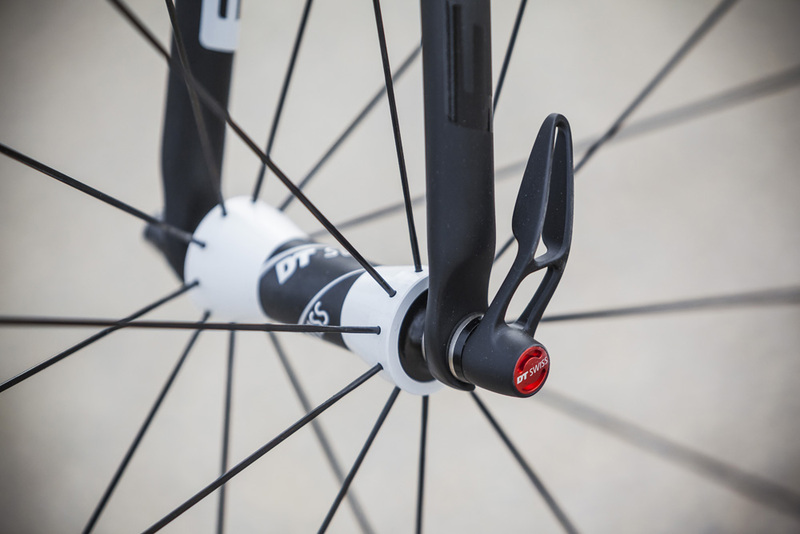 Rather than a traditional expanding headset cap, the Izalco Max features this collar design, that sits below the stem, with a bung that is placed in the top of the steerer tube. We suspect that this design is to save weight. The Acros headset spacer clamp caused some problems though. Firstly it raises the stack by almost 2cm and secondly the tiny grub screw to adjust it feels like it could easily be rounded out. In fact, Ag2r appear to be using traditional expanding top caps on their bikes, which suggests this is a wider-known issue. I also found it came loose after long term use. This was resolved by tightening, but is not something I would expect on a traditional headset. Another minor criticism is the torx bolts on the Fizik stem. Good quality standard Allen bolts are preferable. Some bikes look stunning with tan sidewalled tyres and the Izalco Max 1.0 is one such bike. I changed the Schwalbe One tyres for some tan sidewalled Bontragers and they really set the bike off, to such an extent I would love to see tan side walls specced on this frame in the future. Without pedals, our size large test bike hit the Cycling Weekly scales of truth at an impressive 6.65kg. Adding pedals brought the bike to just a touch over the UCI limit of 6.8kg. By switching to the tubular version of the DT-Swiss Spline 38s with glued Challenge 25mm Criterium tubs, I dropped the weight to 6.60kg with pedals! There is no doubting that this frame and fork are impressively light. Fitted with an alloy railed saddle and aluminium bars and stem, further weight could be lost by switching to carbon, if you were that way inclined. Focus also offer the Sram Red equipped Izalco Max 3.0 for £3999, which has a lighter claimed weight of around 6.2Kg (although this varies slightly per size and frame). I have ridden this bike long term. I took it too Majorca, where I did personal bests on many of the islands iconic climbs. It has been on long rides on a variety of terrains and I even won a road race on it. All in all, I have done in the region of 3000km on the Focus Izalco Max. The rear end is compliant enough for long rides and the bottom bracket will meet the stiffness required for sprinters. But where this bike really excels is climbing. It floats up steep gradients with ease and when you get out of the saddle it handles heavy torque loads superbly. Some super-light bikes can feel feathery, but the Izalco Max is planted. The cocktail stick-like fork has incredible lateral stiffness. While bombing down the fast descents of Majorca’s famous hills or darting through the tight corners of a criterium, the fork’s stiffness made the front end surefooted when cornering at speed. The fork didn’t feel very compliant, in contrast to the rear, which is impressively comfortable for such a stiff bike. Through testing this bike long term, I have encountered a couple of issues. I have previously mentioned the Acros headset, the other issue I have encountered is with regards to the mech hanger. It would appear that it is too soft. I am not sure if this a result of the increased force placed upon the hanger by Di2 shifting, or just slight knocks. By slight knock I am referring to resting the front wheel on the bike when in the back of a car. Di2 mechs don’t spring like the mechanical version, meaning they can be susceptible to bending, as the hanger takes the force. The Focus Izalco Max 1.0 scores highly on value. This bike is in the same league as the Canyon Ultimate CF SLX, Cannondale Supersix Evo and Cervélo R5. When you consider that a similar weight and spec Cervélo R5 is £6,699, the £700 cheaper option is very attractive. Conversely, the Dura Ace Di2 equipped Canyon Ultimate 9.0 is £5,599. However, Canyon’s current supply issues mean there is likely to be a wait for the bike and, in addition, there is the downside of the direct sales model of business — you can’t take it to shop where you bought it. All this means that the Focus is good at the price. The Focus Izalco Max 1.0 – Stealthy and super light. For more information, head over to Focus. It might not have the ‘sexiness’ that many associate with some more exotic brands, but the Focus is typical of good German engineering. It is utilitarian, efficient, well designed and now a proven race winner. The geometry is aggressive and is better suited to riders who prefer a longer, lower position; just remove the Acros headset clamp and this bike is pretty much perfect. We see and test a lot of bikes at Cycling Weekly and, when you factor in how good the frame is for the money, the Focus Izalco Max 1.0 is well worth the investment.